Denver absolutely lit into the Rockets’ defense last night, putting up 136 points for the game despite being without both of their starting guards. The depth of this team never ceases to amaze. Minnesota, on the other hand, comes into this game after winning on a buzzer-beater against the Grizzlies. Fresh off of that win, they look to climb back to .500 and try to begin their ascension into a playoff spot. Yeah, so they didn’t have Jamal Murray or Gary Harris last night, so Monte Morris and Malik Beasley got the starts. They combined for 53 points… because that is just what your reserves are supposed to do, right? 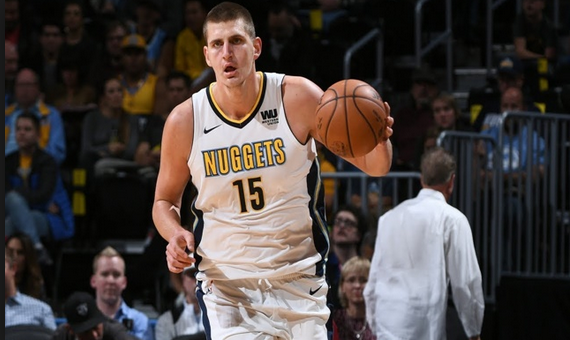 The depth of this team is ridiculous, as Torrey Craig also added 22 points off the bench and Nikola Jokic dominated yet again with an effortless 31-13-9 line. After underachieving for the previous few years, this Nuggets team has been absolutely dominant all season, going neck-in-neck with the Warriors for the top spot. All the credit to Mike Malone. Injuries haven’t slowed them down. The Nuggets are only the fifteenth highest-scoring team in the NBA but rank #6 in points against, which has helped them a lot. They’ve got seven players scoring in double-figures on average, and 11 (!!!!) guys scoring at least six points per game. The ability of the reserves on this team to seamlessly come in and replace injured starters has been something to absolutely marvel at. After knocking off the Grizzlies with a KAT buzzer-beater last game, this team is definitely feeling good. Andrew Wiggins has continued to struggle with his shot, but the results have been impressive. We’ve also seen Jerryd Bayless play his best basketball in almost six years, as he’s stuffed the stat sheet while serving as the starting point guard for the injury-plagued TWolves. Tyus Jones and Jeff Teague have both remained out, and D-Rose has been constantly in and out of the lineup. Not having Robert Covington around has allowed Josh Okogie to get a lot more minutes. Minnesota is among the top free-throw shooters in the league, and it’s a category that has definitely served to help them. Playing for 32-year-old Ryan Saunders, who got his start in coaching under his dad, Flip, in Washington during the 2008-09 season, seems to be something enjoyable for all of the players. He and Sean McVay are far and away the youngest head coaches in all of pro sports right now, and both of them have done a nice job with the group they are with. The Nuggets didn’t know their playoff fate until game #82 last season, a play-in battle for the #8 spot with the TWolves. This is just an ordinary regular-season matchup, but their fate is clear. A top spot in the extremely talented Western Conference. KAT and company just won’t have it tonight. Denver will win.